Are you ready to be part of this growth in Mexico and Latin America? 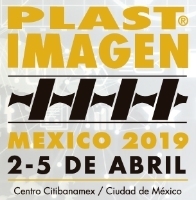 In its 22nd edition, PLASTIMAGEN® MÉXICO represents Latin America’s plastics sector’s most important forum for the exchange of ideas, networking, displaying the latest in technology/machinery, and exhibiting products and services that are aimed at ever more industries. In Mexico, there are 4,580* companies in the plastics and resin production industry, of which 4% are classifed as large companies, 12% as medium-sized companies, 24% small companies, and 60% as micro enterprises. 전시회 개최일정은 주최 측의 사정에 따라 변경 혹은 취소될 수 있으니 전시회 참가를 원하는 업체분들께서는 사전에 주최 측 홈페이지 참고 바랍니다.